Looking For Computer Consultant Office Equipment Supplie? 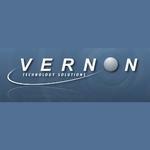 Vernon Technology Solutions is a computer and business equipment rental company located in Markham, ON. Since 1982, the company has provided Computer Rentals and Technology Leasing support that meet and exceed client needs. James Drohan is the President of Vernon Technology Solutions. Products Carried: Vernon Technology Solutions offers a wide range of brand name computer and business equipment rentals to meet business and special event needs. Located in Markham, ON, Vernon Technology Solutions offers Turn-Key Computer Rentals, Special Event Support, Business Equipment Rentals, and Asset Management solutions. The company also offers Digital Signage, Video Conferencing, Data Destruction, and Disposal & Recycling services.